The vibrant and colorful Tomorrowland at night is something that always captures my attention when I am at the Magic Kingdom. 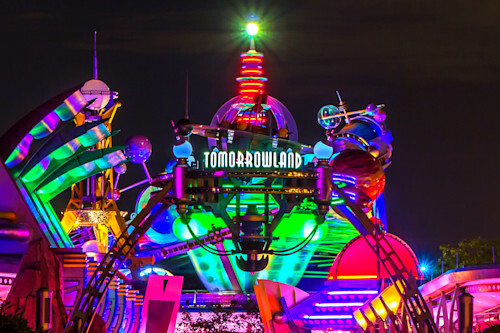 What is your favorite ride or attraction in Tomorrowland? I hope you enjoy this Buy Disney Art print, and please feel free to share! Spinning Tomorrowland Photograph as Fine Art.